The RSNO Chorus sounds great in the Royal Concert Hall, so imagine how it’ll feel to hear them singing up close and personal in the wonderfully intimate setting of the New Auditorium. Written in memory of his mother, Brahms’ German Requiem is the great master at his most tender and personal – music designed to console and comfort listeners of all faiths and none. In this scaled-down version, its beauty will go straight to the heart. Gregory Batsleer is widely regarded as one of the most charismatic and innovative choral conductors of his generation. He has held the position of Chorus Director with the RSNO since 2015, and has in that time overseen an improvement in the overall standard of the RSNO Chorus as well as a rise in the RSNO’s choral activity. This has included the inauguration of the RSNO Chorus Academy, Singing Days, and the establishment of regular Come and Sing events with the Orchestra. Since 2009, Gregory has also held the position of Chorus Director with the Scottish Chamber Orchestra, and last season started the newly created post of Choral Director of the Huddersfield Choral Society, where he is responsible for overseeing the Society’s artistic development. In summer 2017, Gregory co-founded Festival Voices, a professional vocal ensemble specialising in cross-discipline collaboration and performance. As a guest conductor, highlights include performances with the RSNO, Hallé, Academy of Ancient Music, Royal Northern Sinfonia, Aurora Orchestra, Orchestra of Opera North, Royal Northern College of Music Symphony Orchestra, Black Dyke Band, Toronto Mendelssohn Choir and the National Youth Choir of Great Britain. This spring, Gregory conducts a UK-wide, fully staged production of Bernstein’s West Side Story. Gregory has been guest chorus master for many orchestras, including the Royal Northern Sinfonia, Houston Symphony, Toronto Symphony Orchestra and BBC Philharmonic, working with leading conductors including Sir Mark Elder, Edward Gardner, Sir Andrew Davis, Louis Langrée, Sir Roger Norrington, Robin Ticciati, Emmanuel Krivine and Phillipe Herreweghe. He is deeply committed to his work as a collaborator and curator. Recent projects include work with artists including Elbow, James, Tim Burgess, Damon Albarn and Clean Bandit. In 2015 he was musical consultant on Nick Drake’s play All the Angels: Handel and the First Messiah at London’s Sam Wanamaker Playhouse. He has a close working relationship with composer Joe Duddell, and has premiered works by composers including James Burton, David Lang, Colin Metters, Uri Caine and Ben Parry. Last summer Gregory co-curated sell-out cross-art performances at London’s Southbank Centre, Latitude festival, and Wilderness festival, all featuring his new vocal ensemble Festival Voices. 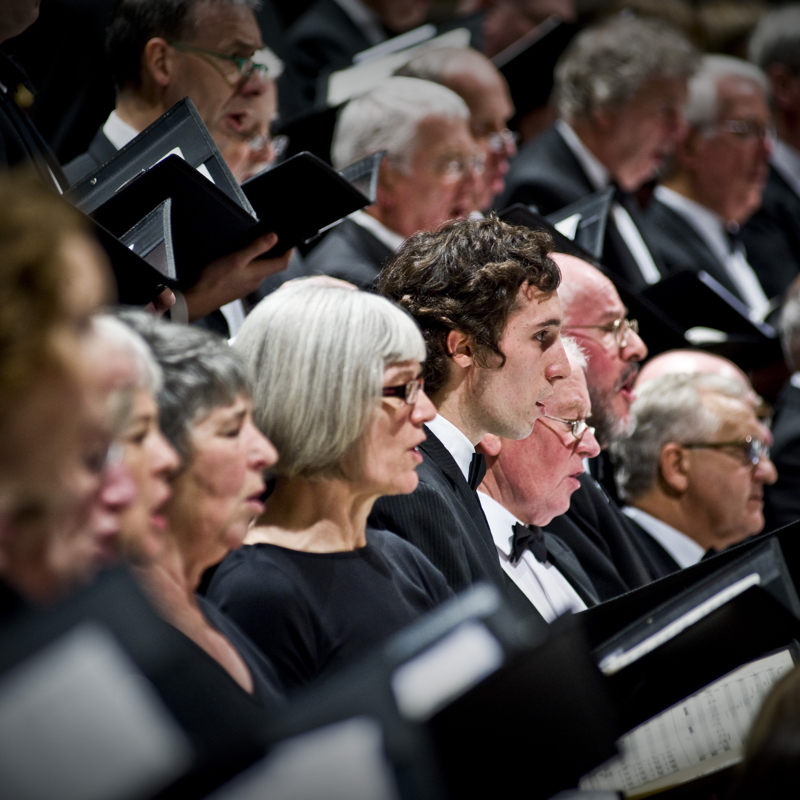 Previous posts include Director of Hallé Youth Choir (2008–11), Director of Choirs at Manchester University (2009–13), and Artistic Director of the National Portrait Gallery’s choir-in-residence programme in London and the Portrait Choir (2013–17), which recently released a choral audio guide to the Gallery. Gregory currently teaches choral conducting at the University of Edinburgh and has worked as guest conductor with the University’s Chamber Orchestra and Choir. Between 2007 and 2012, Gregory held scholarships at Princeton University, New Jersey, and London’s Royal College of Music. His outstanding work as a choral conductor was recognised with the Arts Foundation’s first ever Fellowship in Choral Conducting in 2015. Scottish pianist Christopher Baxter is in constant demand as a soloist, accompanist and chamber musician, with recent performances including recitals throughout the UK, including the Royal Festival, Steinway, Wigmore and Usher Halls, performances at the Latour and Uzerche Festivals in France, the Alba Festival in Italy, a tour of the Faroe Islands, a solo recital at the Erin Arts Centre on the Isle of Man, and recitals in South Korea and Singapore. Forthcoming appearances include recitals with the newly formed Brass Diversions, a series of performances and recordings of the piano works of Eddie McGuire and John Hearne. Christopher has many long-standing chamber music partnerships, and from the outset of his professional life, he has been a devoted advocate of contemporary music, being involved the premiere performances of more than 30 works by notable composers and appearing on several radio and television broadcasts. Originally from Aberdeen, Christopher began his musical studies with Robert Howie at the Aberdeen City Music School and continued at the Royal Scottish Academy of Music and Drama (now Royal Conservatoire of Scotland), completing his BMus (with 1st Class Honours) and MMus (Distinction), where he was tutored by Aaron Shorr, Graeme McNaught and Fali Pavri, as well as receiving regular coaching from the renowned pianist, Nigel Clayton. In addition to success in many competitions, Christopher participated in masterclasses with Roy Howat, Murray McLachlan, Hyoung-Joon Chang, Malcolm Martineau, Roger Vignoles, Julius Drake and Martin Katz. As an accompanist, Christopher has been involved with several international instrumental competitions and festivals and between 2009 and 2010, held the position of Accompaniment Fellow at the RSAMD, where he was awarded the annual Accompaniment Prize. 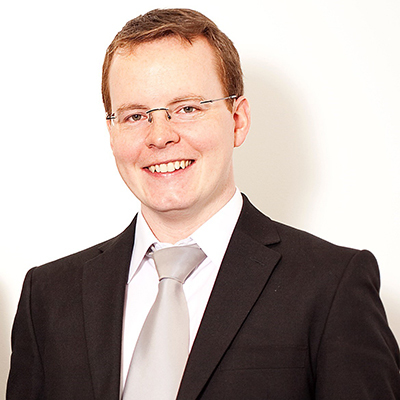 Christopher holds posts as piano teacher and accompanist at the specialist music school of Douglas Academy in Glasgow and as resident Concert Pianist at Loretto School in Musselburgh. As a pianist on the Live Music Now scheme, Christopher has given more than 250 performances, and as an examiner for the Associated Board of the Royal Schools of Music, has travelled extensively throughout the UK and Asia. 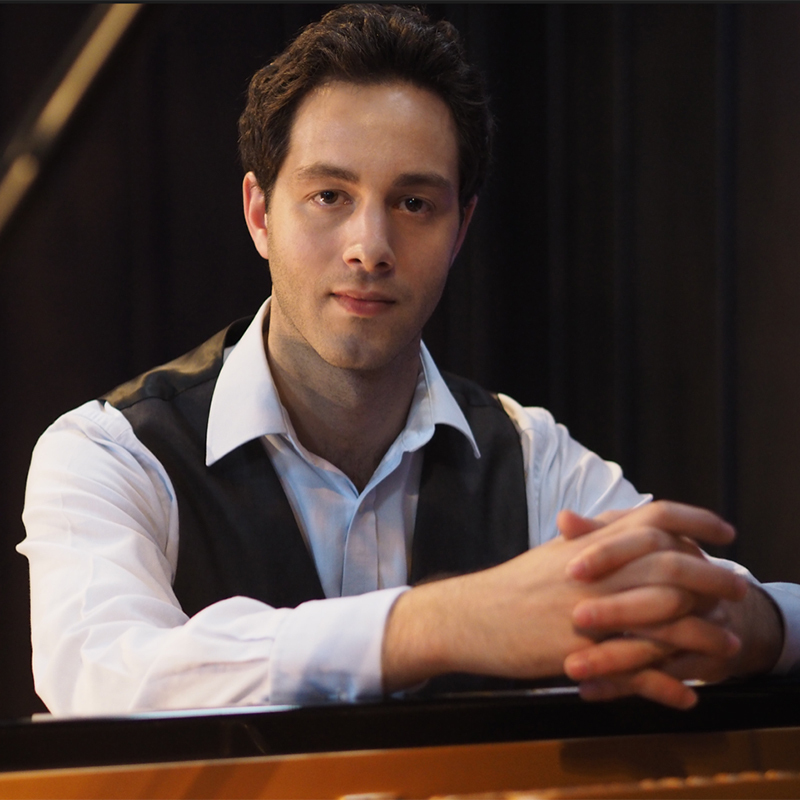 Edward Cohen has established himself as one of the most versatile and in-demand pianists in Scotland. Equally at home as a concerto soloist, recitalist, chamber musician, or educator, he regularly collaborates with leading musicians in the country’s major performance venues and festivals. Edward began studies at the Royal College of Music when he was ten, and is a first class graduate of the Royal Academy of Music where he was a prize-winning student. Additionally, he has studied at Indiana University, and is an alumnus of the Lucerne Festival Academy. He holds two MMus degrees with Distinction from the Royal Conservatoire of Scotland, where he currently maintains a position as lecturer in piano and staff accompanist. He is a principal study teacher for the University of Glasgow, and has recently given masterclasses at home and abroad, including at the University of Edinburgh and the Estonian Academy of Music and Theatre. During his studies, Edward won the conservatoire’s most prestigious prizes in both solo and chamber music performance, including the Governor’s Keyboard Recital Prize and the Piano Accompaniment Prize. He counts some of the world’s finest pianists amongst his teachers, including Rolf Hind, Kathryn Stott, Yevgeny Sudbin, Martino Tirimo, André Watts, and Lilya Zilberstein. Beyond his native Europe, recital activity has taken Edward to India, Russia, the Far East, and across the USA, including a performance in the presence of HM The Queen. He has made numerous appearances at the BBC Proms, including as a soloist in 2010 and with mezzo-soprano Catriona Morison in 2013. A keen chamber musician, Edward performs with the Artisan and Beinn Artair Trios, the Barony and Red Note Ensembles, Daniel's Beard, Opera Alba, flautist Katherine Bryan, and clarinettist Jean Johnson. 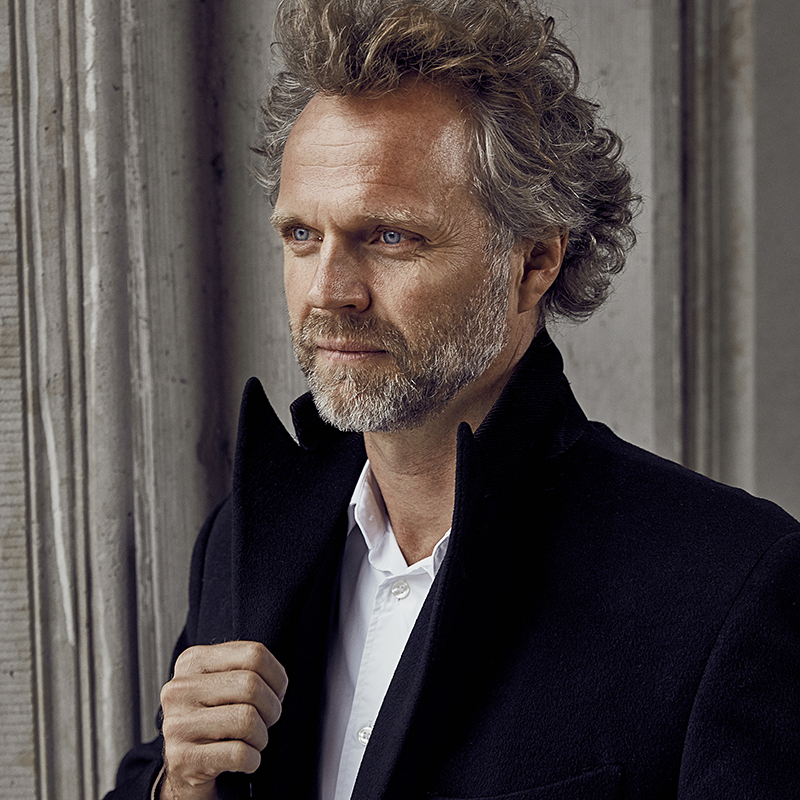 He made his RSNO Chamber Series debut in 2017, and has performed under the baton of Pierre Boulez, Peter Eötvös, Sir Peter Maxwell Davies, and Yan Pascal Tortelier, amongst others. Recent concerto engagements have included Beethoven's 'Choral Fantasy', de Falla's Harpsichord Concerto, Rachmaninov's Concerto No2, Shostakovich's Concerto No2, and Strauss' 'Burleske'. 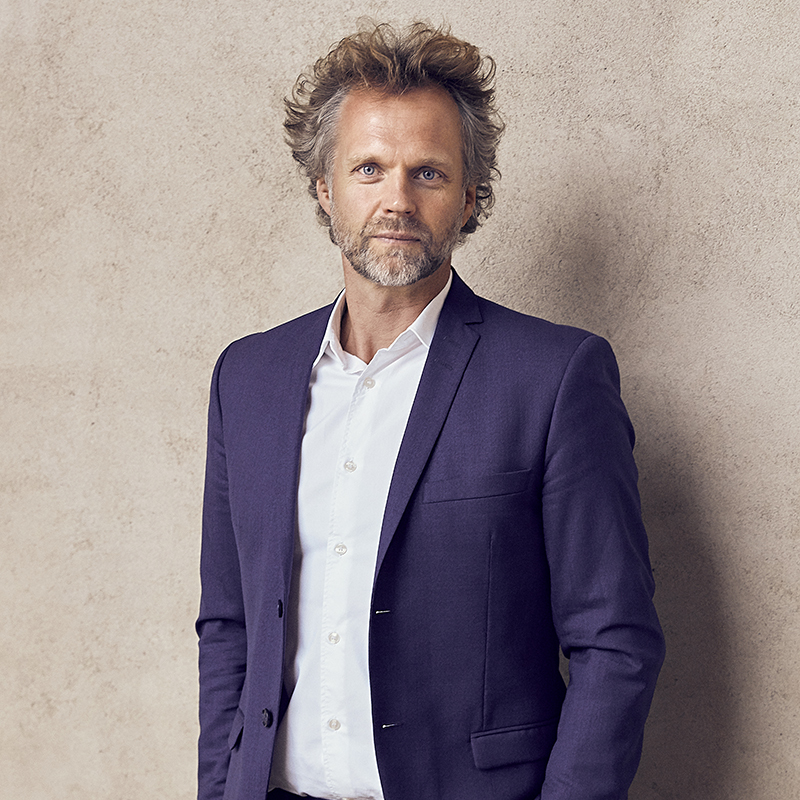 Edward is the pianist for the Chorus and Junior Chorus of the RSNO, a role in which he regularly works closely with major conductors, including Sir Andrew Davis, Kristjan Järvi, Peter Oundjian, Cristian Macelaru, Carlos Miguel Prieto, and Thomas Søndergård. He has worked regularly with many other choirs, including the Edinburgh Festival Chorus, the National Youth Choir of Scotland, and the Scottish Chamber Orchestra Chorus. He has been an official accompanist for masterclasses given by Nicola Benedetti, Ian Bousfield, Karen Cargill, Malcolm Martineau, János Starker, and David Watkin. Edward’s playing has been heard extensively on television and radio around the globe. He has recorded several CDs and was an accompanist at the Eurovision Young Musicians 2018 competition, which was produced by BBC Arts Digital and Radio 3 and broadcast on live video worldwide. Scottish Soprano Alison McNeill graduated with a Masters in Performance from the Royal Conservatoire of Scotland in 2013 with scholarships from the RCS Trust and ABRSM. She has performed as a soloist all over the UK, Holland, Spain, Italy, Germany, Austria, Japan, Pakistan, USA and Mexico. Alison enjoys a busy and varied career. As a gifted recitalist, Alison is the 2012 winner of the Andres Segovia prize for Spanish Song (Spain), the only non-native speaker to win this award. She is an Artist in Residence for Enterprise Music Scotland and formed the McNeill Savaloni Duo with Classical guitarist Sasha Savaloni, which has seen the pair broadcast on BBC Radio Scotland’s Classics Unwrapped, Spanish National Radio in Madrid’s acclaimed chamber music series Clasicos en Verano and perform the World Premiere of Stuart MacRae's Attar Songs at the St Magnus International Festival. Alison has performed in prestigious venues such as Minami Aizu Concert Hall (Japan), Glasgow Royal Concert Hall as soprano soloist with the RSNO in Carl Orff’s Carmina Burana, the National Auditorium of Galicia and Atheneum in Madrid giving world premieres of works by Spain’s leading composers Anton Garcia Abril and Teresa Bretal. 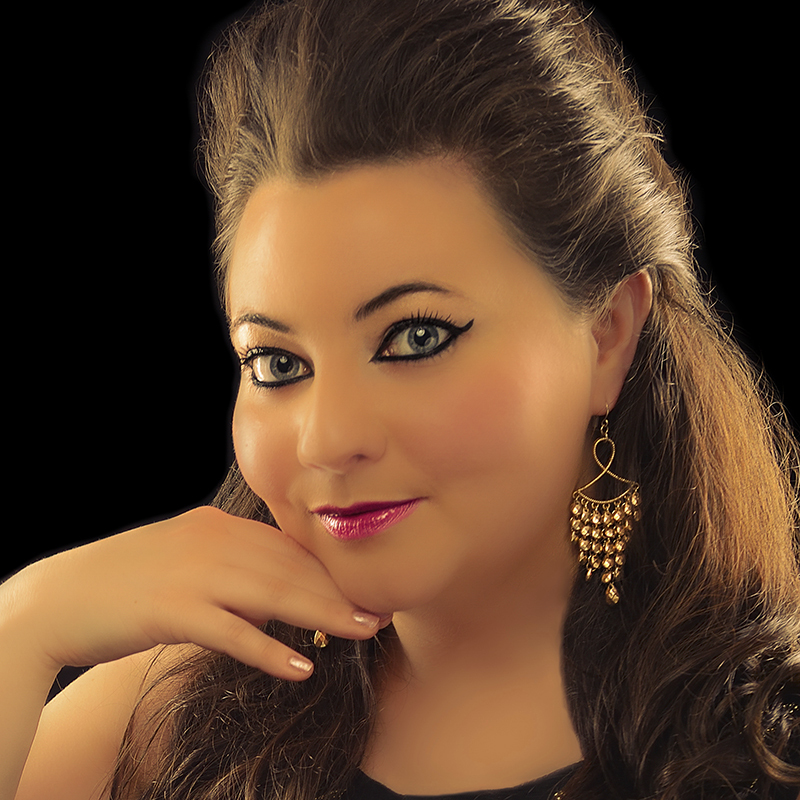 Having studied Spanish Song with legendary mezzo soprano Teresa Berganza, Alison has had the opportunity of performing in the Manuel de Falla Auditorium (Granada) and in the houses of celebrated composers Joaquin Rodrigo and Manuel de Falla. 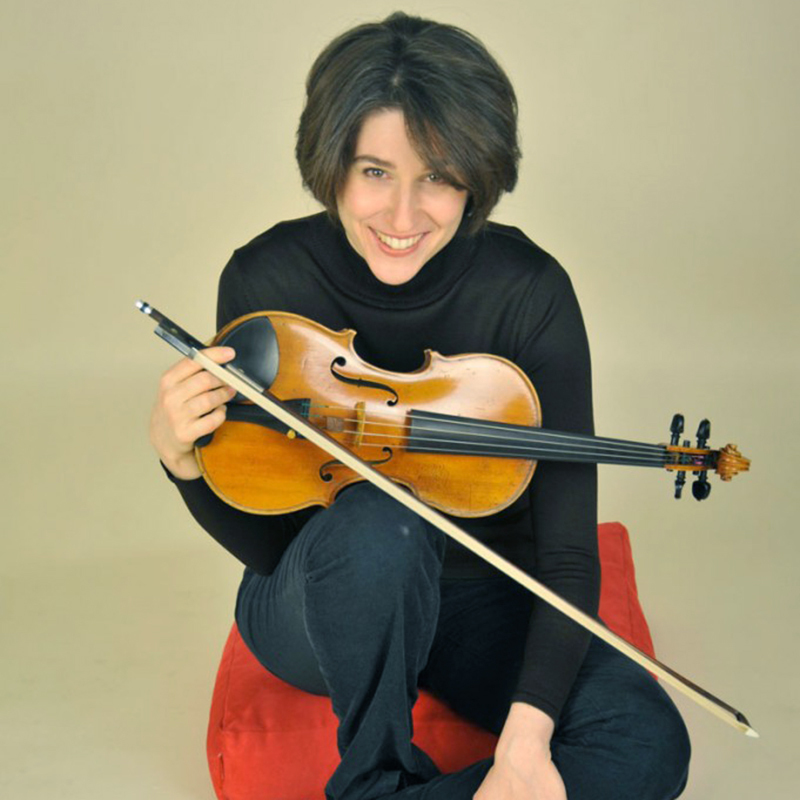 In Mexico, Alison has performed Mexican Baroque repertoire with Baroque Ensemble Ditirambo and looks forward to concerts in USA, India and Pakistan in 2020. As a fine interpreter of Celtic and World folk music, Alison is fiddler and singer with the award-winning folk rock band Reely Jiggered who won the 02 ABC SoundWave Music competition. They have headlined International Festivals in Italy, Mexico, Pakistan and Germany and have been broadcast on BBC Radio nan Gael, BBC Radio Scotland and BBC Radio 4. They release their third album this year. Described by the Herald as having ‘a succinct conducting style, commanding undivided attention’, Alison is currently Assistant Director of the Royal Scottish National Orchestra Junior Chorus, Conductor of NYCOS Boys Training Choir and Director of the Ulster Junior Choir in Belfast. Currently studying at the Alexander Gibson Opera School (Royal Conservatoire of Scotland), baritone Oskar McCarthy’s interests span opera, choral work and experimental music theatre. His operatic roles include Leporello Don Giovanni (Waterperry Festival); Guglielmo Così fan tutte, Taddeo L’italiana in Algeri, Pausanias Une Education Manquée (Pop-Up Opera); Falke Die Fledermaus (OperaUpClose); Papageno Die Zauberflöte (Opera Anywhere); Angelotti Tosca (Midsummer Opera); Don Alfonso Così fan tutte (Bedford Park Festival); Escamillo Carmen, Orest Elektra (Secret Opera). 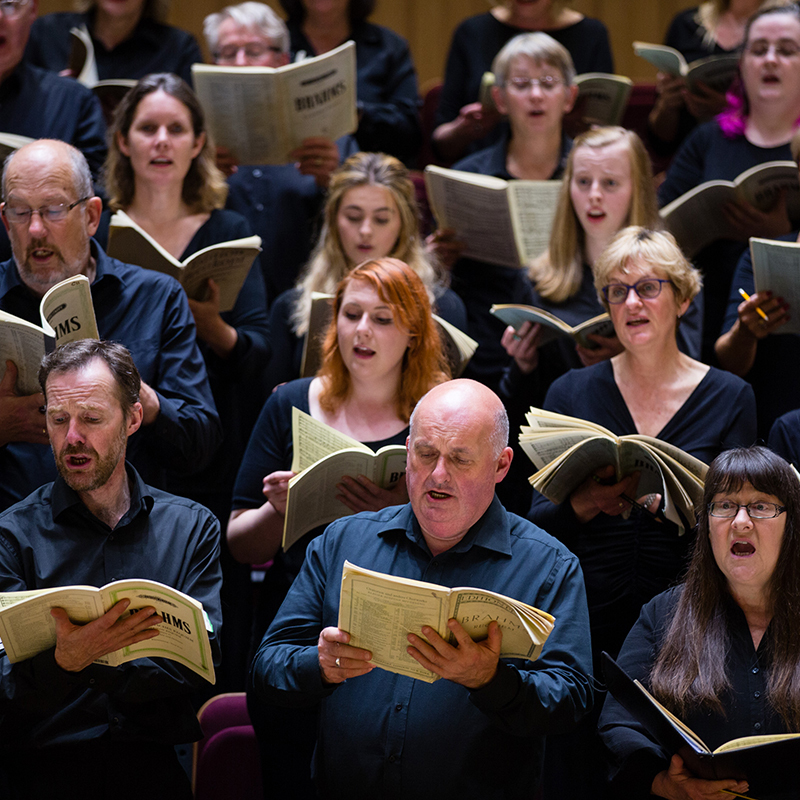 Concert work includes Handel's Messiah (National Portrait Gallery); Verdi's Requiem (Philharmonia Britannica); Bach's St Matthew Passion, Beethoven's Ninth Symphony and Brahms' Ein deutsches Requiem (Angel Orchestra); and Mozart and Duruflé's Requiems (Brandenburg Choral Festival). He has collaborated with the music theatre companies ERRATICA and Re: Sound, performed at Wilderness and Latitude festivals, and staged the song cycles Buried Alive (Schoeck) and Songs and Dances of Death (Mussorgsky) for the London Month of the Dead. 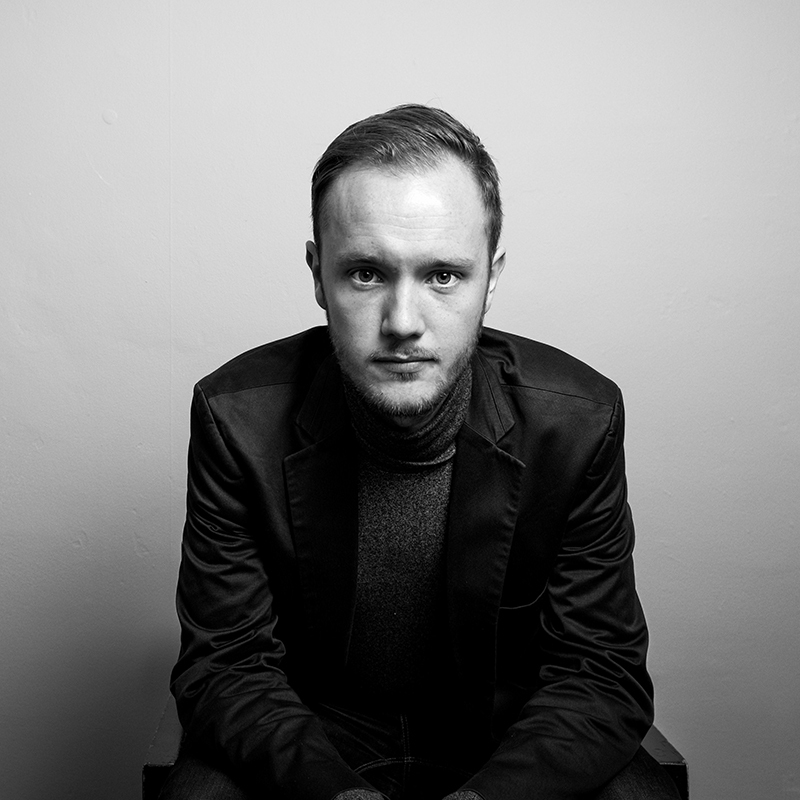 Oskar is creative producer for Festival Voices, a collaborative vocal ensemble he co-founded with RSNO Chorus Director Gregory Batsleer in 2017, and is a member of the Philharmonia Chorus Professional Singer Scheme. 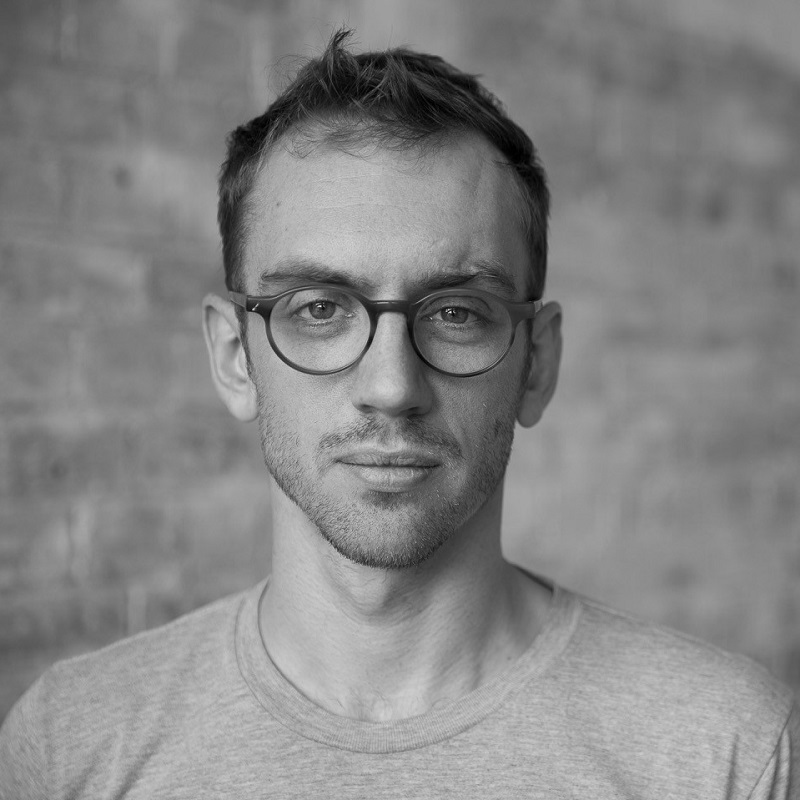 His ongoing interest in broadening his skill set has led Oskar to taking workshops in clowning, fooling and improvisation, and studying at the International School of Dramatic Corporeal Mime in Paris.